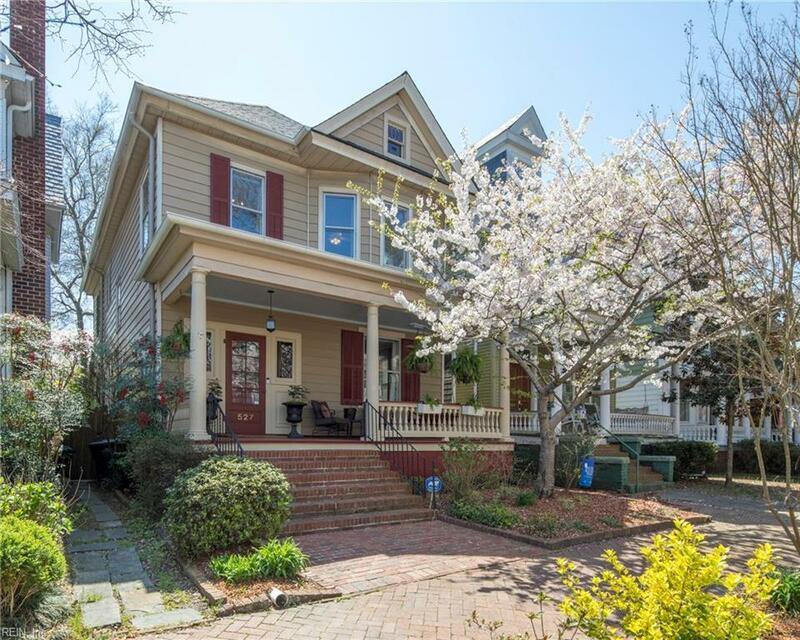 527 Hampton Pl, Portsmouth, VA 23704 (#10250799) :: Abbitt Realty Co.
WOW Historic OLDE TOWNE done right! 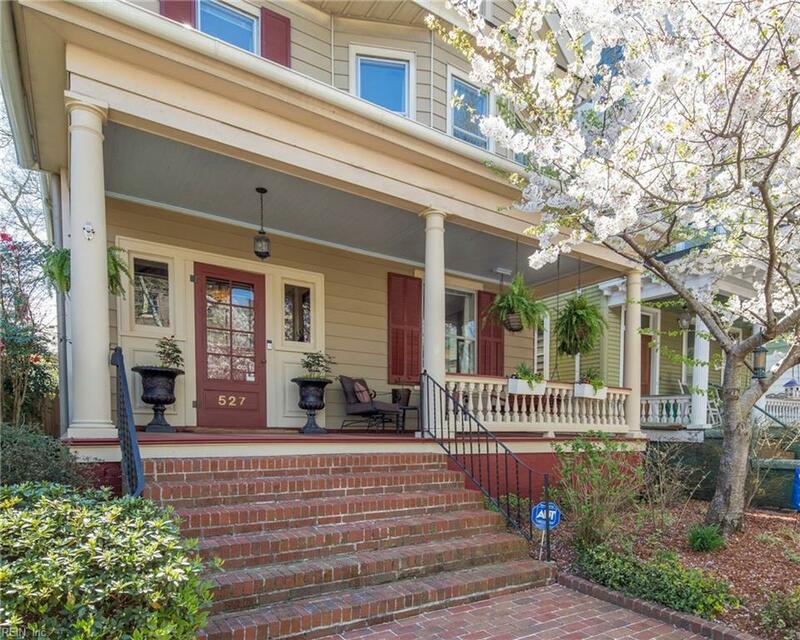 Although built in 1900 this house has a new roof and new HVAC, you get all the old world charm and the expensive items already updated for you. Quiet street with plenty of parking (see parking lot steps from your front door) Walk to dining, shopping, the waterfront, Children's museum or take the Ferry over to Waterside. In the midst of everything yet, you have your own back yard complete with patio area, grass & a shed that has electrical & AC! It. Large Eat in Kitchen has an island and built in window seat and wonderful storage. A Gigantic Pantry, and you have all new appliances - a gas cook top and a convection microwave combination. 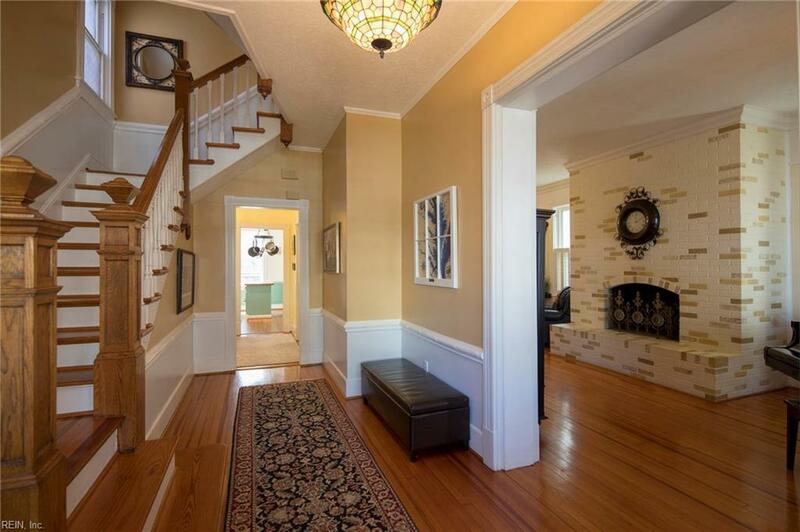 The winding staircase leads you to 4 bedrooms. A Huge master with a spa like bath with its own chandelier. On the very TOP floor is a very special room think nursery, man-cave or craft room. Bedrooms are all Big just like the front porch. 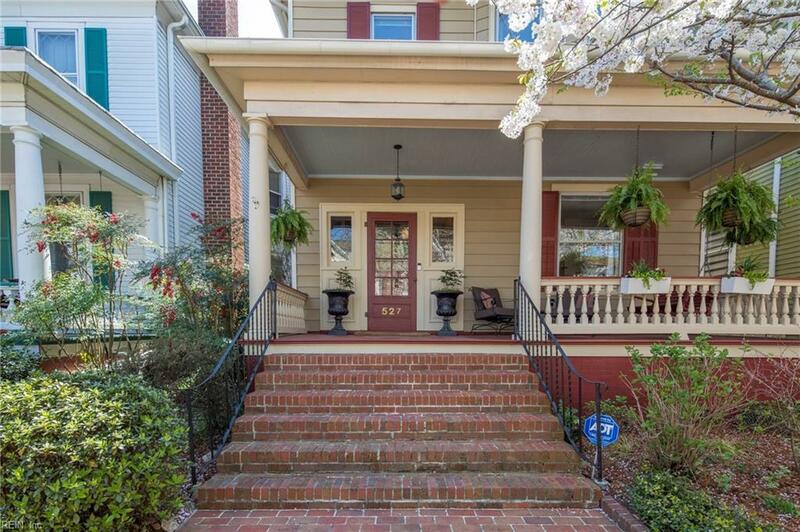 Relax on your inviting front porch or upstairs balcony.